Over the past few months, Spotify gradually overhauled the looks of its Android, iOS, and Windows Phone apps, but unfortunately, it appears that the music streaming service has also fallen victim to hackers, who exploited a security breach and gained unauthorized access to some internal company data. One thing led to another and a single Spotify user's profile got hacked. Although none of its financial or payment information got accessed, a security update will be pushed to the Android version of the streaming service in the next few days. This was revealed by Spotify's CTO, Oskar Stal, who claimed that iOS and Windows Phone users are not threatened by the security breach in question, as Android is the only OS that is susceptible to the breach at the moment. Apart from receiving a security update in a timely manner, certain Spotify users on Android will be asked to re-enter their login credentials, too. Additionally, they will have to download their offline playlists once again after their versions of the app get updated. “We’ve become aware of some unauthorized access to our systems and internal company data and we wanted to let you know the steps we’re taking in response. As soon as we were aware of this issue we immediately launched an investigation. Information security and data protection are of great importance to us at Spotify and that is why I’m posting today," Stal also said. 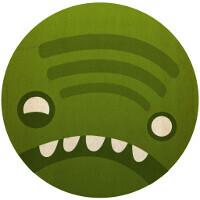 Yes, it looks like Spotify knows how to take care of its users and although it deserves praise for its timely actions, we can't help but think that the urgent hotfix is actually targeting an even bigger, newly-found security breach, which might expose not just one, but significantly more user profiles to similar threat, if not worse. As this is highly probable, we recommend that all Android users look for the security patch that will hopefully secure their Spotify accounts. Uh oh....let the fanboy wars begin.... I want to know why Android is vulnerable and iOS and WP isnt. iOS users weren't affected so no fanboy wars needed.